Sue (Kildahl) Tietz, president/CEO of McDonough Manufacturing, truly is a Chippewa Valley Woman in the Lead. 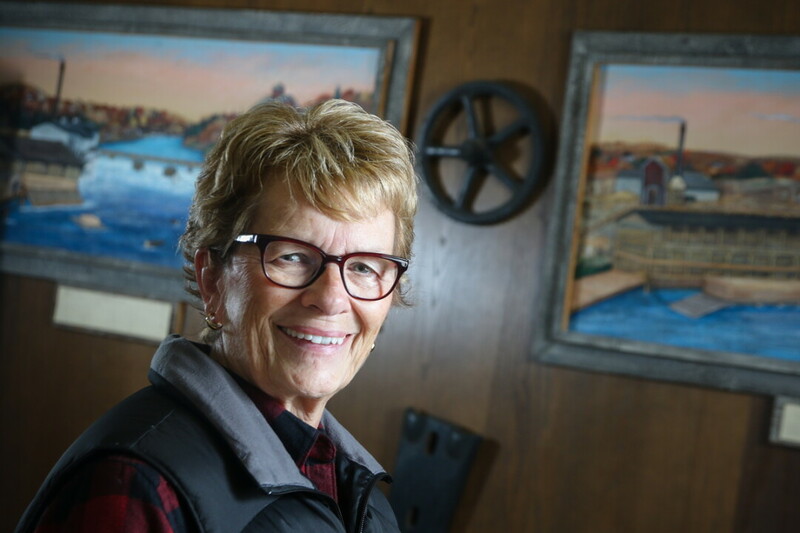 She is a trailblazer as leader of an Eau Claire-based company that has been in business since the 19th century producing sawmill machinery that is shipped all over the country and the world. McDonough Manufacturing Co. was incorporated on Nov. 18, 1888, and has produced McDonough Sawmill Machinery since its inception. The founder, Frank McDonough, died in 1904 and the company struggled under the leadership of others, according to Tietz. In 1921 Tietz’s grandfather, John M. Kildahl, bought the assets from the family, and Tietz’s family has owned it ever since. The Kildahl family has seen the company through wars and economic ups and downs.Tietz has been working at McDonough almost continuously since she was a teenager, helping the company grow and evolve with changing times. The company presently employs 42 people in Eau Claire and eight in Canada. Tietz is proud of her humble start with the company, and her lifelong career at McDonough. When she started ninth grade in 1962, she asked her father if she could work at the office after school. Her parents were divorced and she wanted to earn her own money. He agreed to a temporary arrangement. She was 14 at the time, so she needed a work permit that would allow her to work, as long as she didn’t work enough to be considered “full time.” She went to work after school, calling her father for a ride, and worked on weekends, holidays, and summer vacations. “That was NOT less than full-time, but I loved it,” Tietz said. She did anything and everything her father asked. She typed letters, and did the order preparation and invoicing. Tietz also typed checks for her uncle. “I just couldn’t get enough of it,” she said. Tietz and her husband, Roger, have a daughter, Jenny, and son, Matt. She said she made running a business and being a mother work by managing her time well and ensuring that when she was home, she was focused on her family rather than work. She also makes time to go on vacation and make special memories with her family. In 1995, Tietz took over leadership of the company with the retirement of her sister. Matt, a recent UWEC graduate at that time, took on a position with the company and still works with his mother in the family business. Tietz says she does not single herself out as a woman in business, but rather views business as an equal opportunity enterprise where you can earn respect regardless of your gender by treating others well and doing a good job at what you do. Tietz advises people who are starting out in business to watch, learn, and ask questions. “If you want to change something be sure you have the blessing of others who have been in the business longer than you,” she said.